GOING AWAY: Cast members take their leave during one of the show's musical numbers. “THIS place has no future. That’s why mi must get pon that ship.” Aspiring nurse Maisie (Maxann Stewart-Legg) is not mincing words when she declares her intention to leave her long-suffering village for the greener pastures in England via the Windy Rush that has come beckoning passengers. Welcome to Banana Grove, the down-on-its-luck farming community at the centre of the amusing and ambitious 2018/19 LTM Pantomime, All Aboard, whose attributes outweigh its shortcomings. When the production harks back to the 1950s, times are hard in Banana Grove. 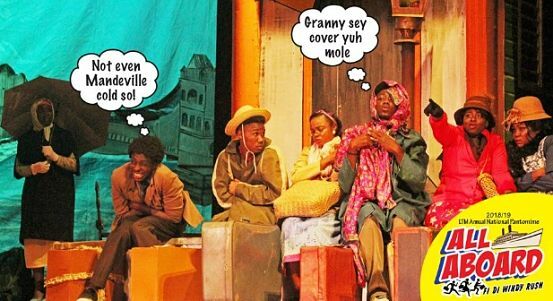 “We wuk fi live, oh,” the struggling villagers, including diligent farmers like Cliff (Tevin Gibbons), lament in one of the show’s musical numbers. In addition to Cliff, we also meet Patsy (Antoinette Perkins), Maisie’s older sister who teaches at the schoolhouse that’s one the verge of closing. Miss Sarah (Faith Bucknor), who runs the local post-office, is the mother of these two young ladies who couldn’t be more dissimilar. While Maisie is bent on leaving on the ship, Patsy is torn between her blossoming relationship with Cliff and heeding her sister’s warming to seize the opportunity and “sail to better days” in England. To say the least, Banana Grove is a community filled with dreamers, but you have to respect their hustle, their ambition and their determination to rise up out of poverty. “Better, better, come,” they plead in another tuneful but sorrowful song. 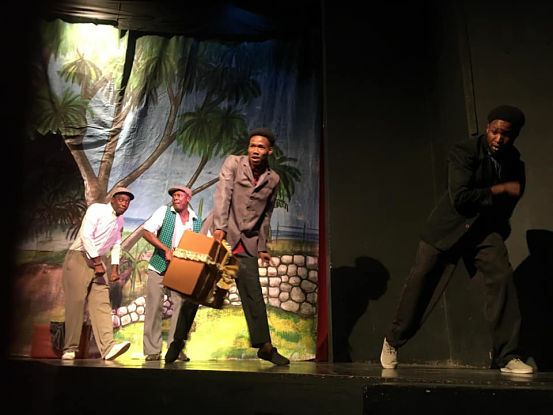 Hands down, the most determined person in all of Banana Grove is Boysie (Donovan Stewart), the mischievous, wide-eyed schoolboy who vows to get on that ship by the hook or the crook. 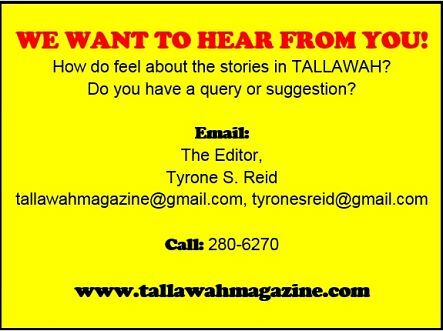 “Mi nah stay yah and tun no country bumpkin,” he asserts. He provides much of the show’s comic relief. Kevin Halstead, in a memorable turn, rounds out the main cast as Keys, the town drunk whose wisdom and knack for old-time sayings remain unaffected by his constant drinking. The action eventually shifts to London, when the passengers arrive, ready for a new lease on life. But what a big bag of surprises is awaiting them! Will they survive? Will they return to Banana Grove in one piece to help their beloved community achieve prosperity? The show’s first half would benefit from some tweaking as some scenes are unnecessarily long. But instead of diminishing the production’s rich flavor such a move by director Robert ‘Bobby’ Clarke would serve to tighten the overall package.